Today is a public holiday and we are in the final days of completing our manuscript for the next version of the Modern Monetary Theory (MMT) textbook (which is to be published by Macmillan later this year). So I am devoting work time today to that task and as a consequence my blog is taking a holiday. In keeping with the mood of the day, a little walk down to the surf is also likely. 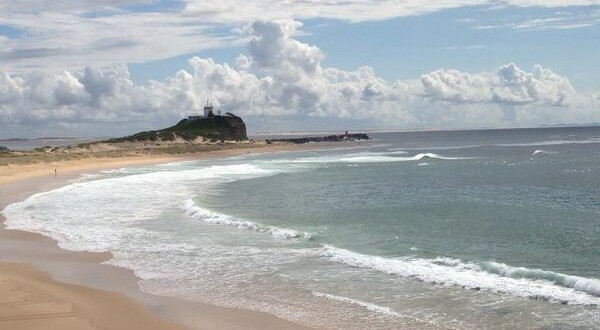 The photo is of my local beach (Nobbys). I am reading the first edition of the MMT textbook on Kindle and look forward to reading the next one too. This will allow me to catch up with recent blogs. That’s a good looking picture.